The inspiring true story of how Carole King became the soundtrack of a generation. 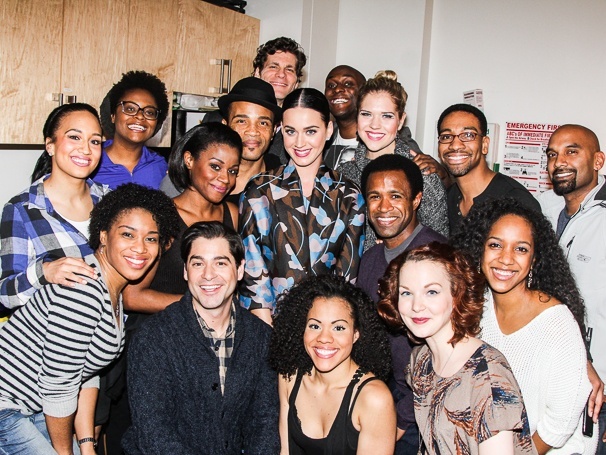 The ensemble rallies around Katy Perry. Catch Beautiful: The Carole King Musical at the Stephen Sondheim Theatre! Pop star Katy Perry headed to Broadway to see the life story of another singer-songwriter unfold onstage in Beautiful: The Carole King Musical! Check out these photos of Perry hanging out with Jessie Mueller and the cast backstage at the Stephen Sondheim Theatre on December 30, 2014.